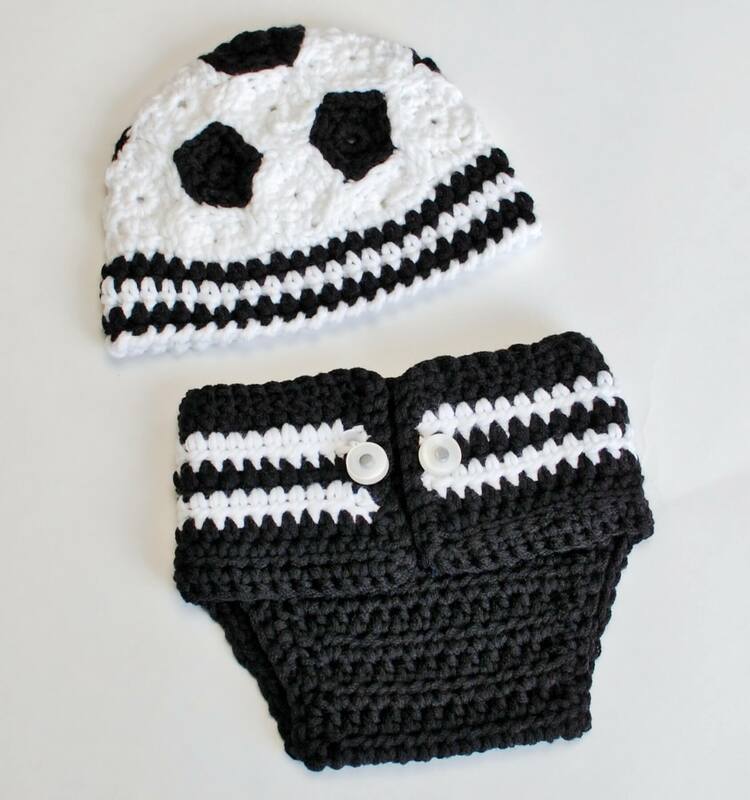 This newborn soccer hat and diaper cover set is so adorable and perfect for baby’s first photo shoot!! Also makes a perfect gift for a baby shower or any new baby. This newborn soccer hat and diaper cover set is so adorable and perfect for baby’s first photo shoot!! Also makes a perfect gift for a baby shower or any new baby. 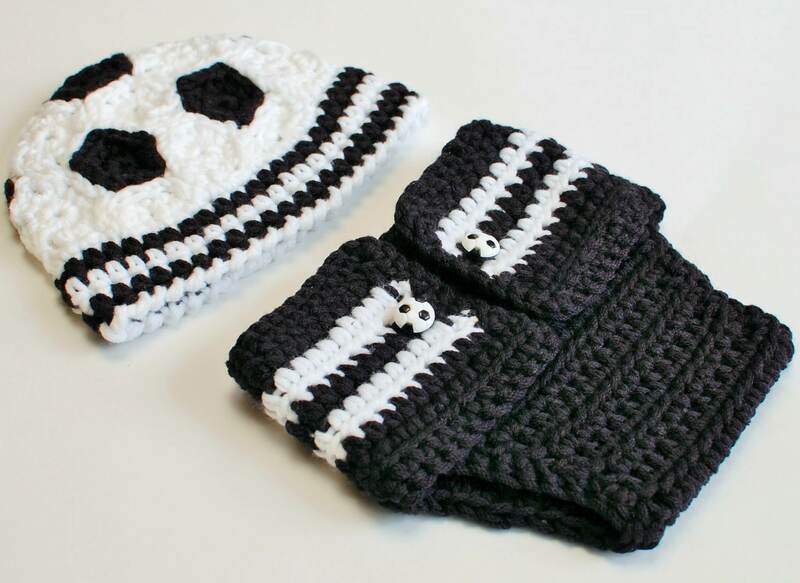 The easy-to-follow pattern includes instructions to make the hat and diaper cover. Stitch counts are provided at the end of each row/round and full color photos are provided for ease of use. Written in American English according to Yarn Council standards and guidelines. 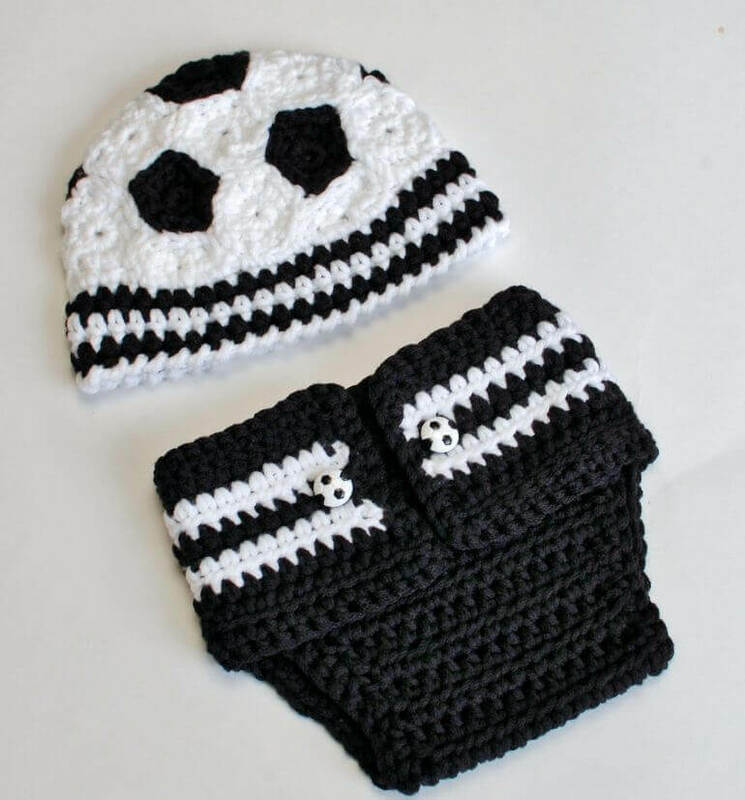 “Easy and detailed pattern, thanks so much!” ~Ashlee P.
“Love the pattern! Thanks!” ~Chastity R.